The new REVO DAC-1 represents one world’s best expression in the realization of Digital-to-Analog converters. It uses technical solution without compromises, creating thus the conditions for an optimal listening of high-resolution files, often restricted by inadequate realizations. 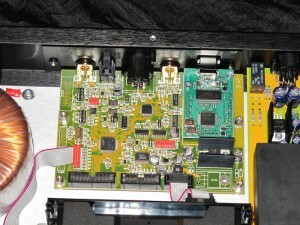 In a historical moment when we witness the proliferation of DACs for “computer music”, exclusively designed around the parameters of the so-called technical modernity and cost reduction to the detriment of the potential sound performance of high resolution devices, NORMA proposes a “universal machine” which is highly sophisticated in all the aspects relevant to sound output. You can finally truly appreciate the actual quality of high resolution files, without the limitations imposed by inadequate implementation. NORMA is pleased to present the new REVO DAC-1 Digital Source. It is an extremely interesting product, both for its outstanding technical content and for its noticeable versatility, obviously combined with the rigor of NORMA musical tradition. All of this at a very interesting price, considering the technical features. The NORMA REVO DAC-1 source offers a complete set of digital inputs. As a matter of fact, there are both a full bandwidth USB input (192.0 KHz) as well as 4 SPDIF inputs, coaxial, optical and XLR. Therefore, all the features for an advanced digital source are contained within a single frame, and they are able to meet even the most demanding user’s needs with no limitations, both in terms of versatility as well as of listening quality. The same conversion section and the same output stages that made the REVO CDP1R unique, famous and appreciated, are used in REVO DAC-1 enabling it to reach top world production levels as the quality of sound reproduction. The NORMA DAC-1 enables the user to manage and store all digital parameters independently for each input. For instance, it is possible to enable the over-sampling feature at any frequency as the user wishes as well as disable it if undesired. It is also possible to select the Master Clock source between the Low-Jitter local oscillator and the input signal’s one. Finally, it is possible to vary the upsampler parameters, the digital filter’s response, the absolute phase and the volume of the output signal. All of this can be carried out both via the local controls as well as by remote control. - 5 digital inputs, USB, 2 x SPDIF RCA, SPDIF OPTICAL, AES-EBU. 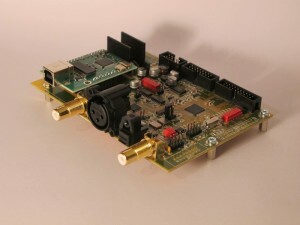 - USB input and SPDIF full bandwidth, up to 24 Bit / 192 KHz. - Possibility to select the oversampling frequency 44.1-48.0-88.2-96.0-176.4-192.0 KHz or AUTO. - Possibility to customise for each digital input all parameters, including the value of oversampling. - Possibility to use as the master A/D clock source the local oscillator or the clock form input signal. - Two separate local clock oscillator for the two values . 22MHz / 24 MHz (44.1 / 48KHz). - Local Oscillator high stability, low Jitter and low phase noise. 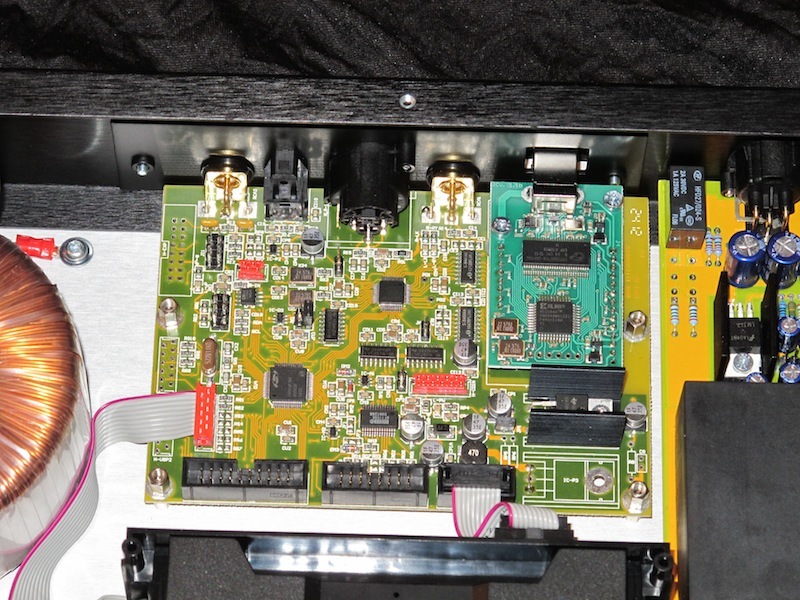 - Possibility to configure one of the 2 RCA inputs as digital output. - Two PCM 24 Bit Digital to Analogue converter. - Digital filter x8 oversampling. - User selectable filter roll-off (Sharp & Slow). - Proprietary I-V architecture conversion. - Analogue output stage based with full discrete devices amplifier. - Extreme low noise, high resolution and high speed. - Wide band ( >2 MHz ) schematic topology. - RCA and Balanced output connection. - Separate power supply for Digital and Analogue Output stage. - High filtering capacity with numerous low impedance capacitors. - 13 Powers supply regulators. - Toroidal transformer specially designed for audio applications. - Remote control of all functions. Oversampling Filter: User selectable Sharp & Slow Roll-off filter response.